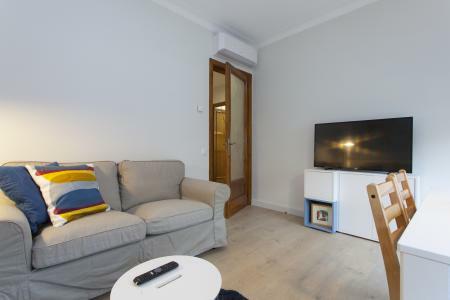 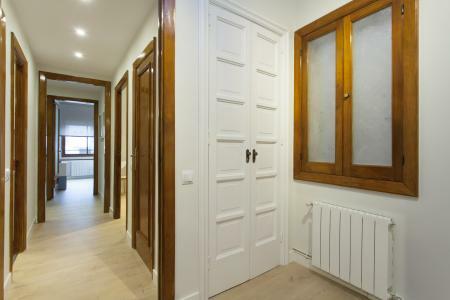 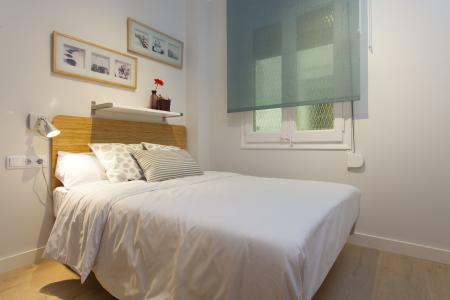 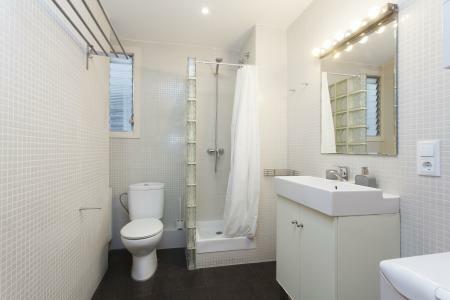 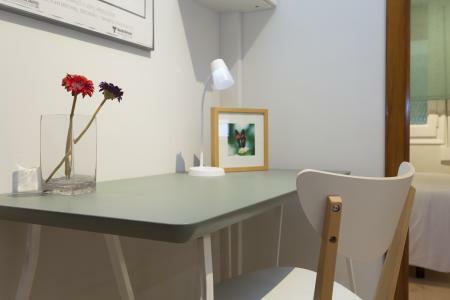 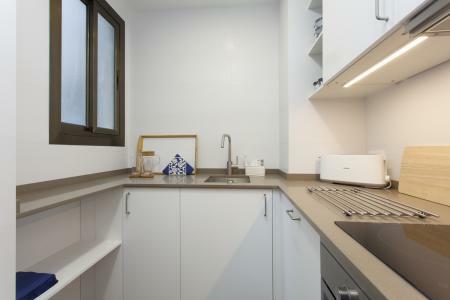 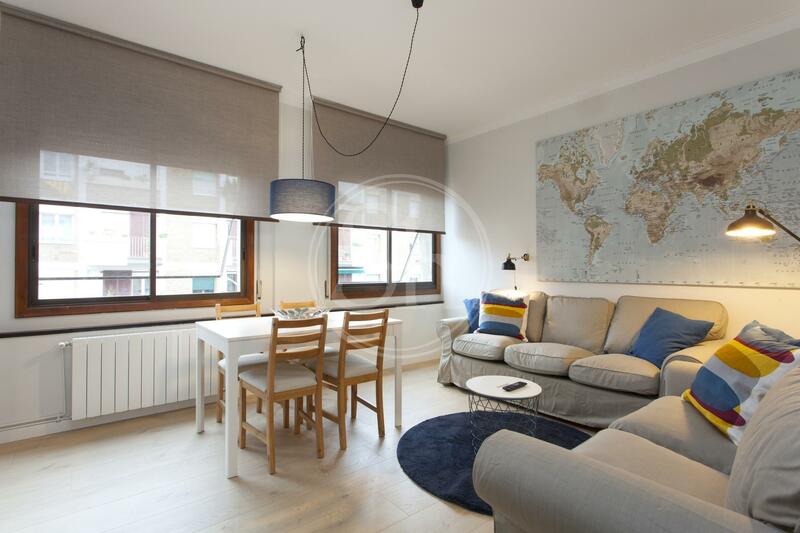 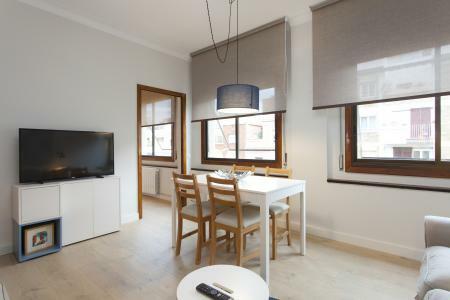 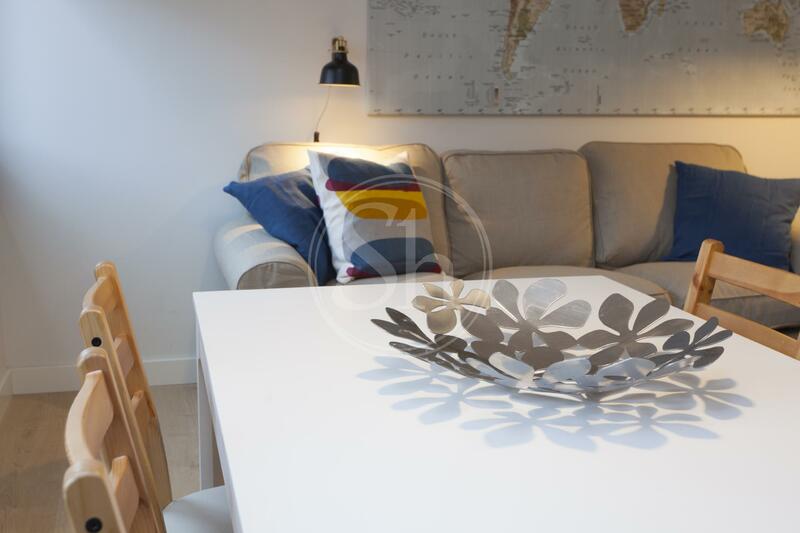 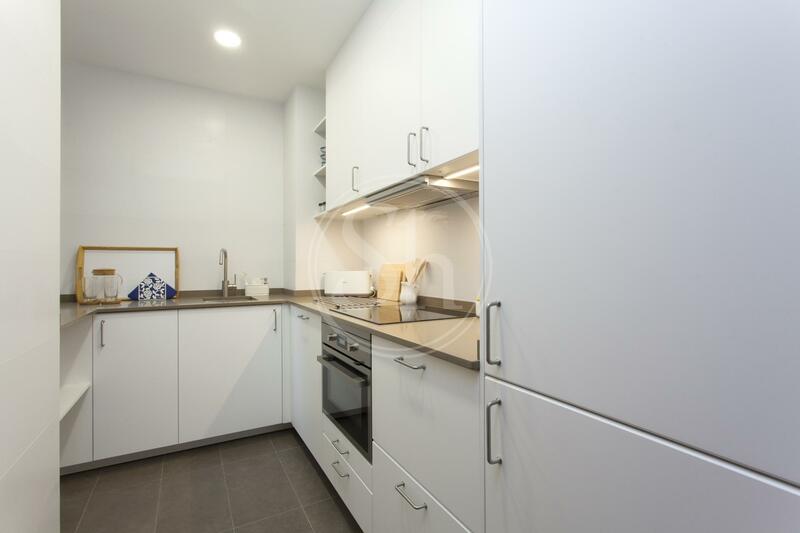 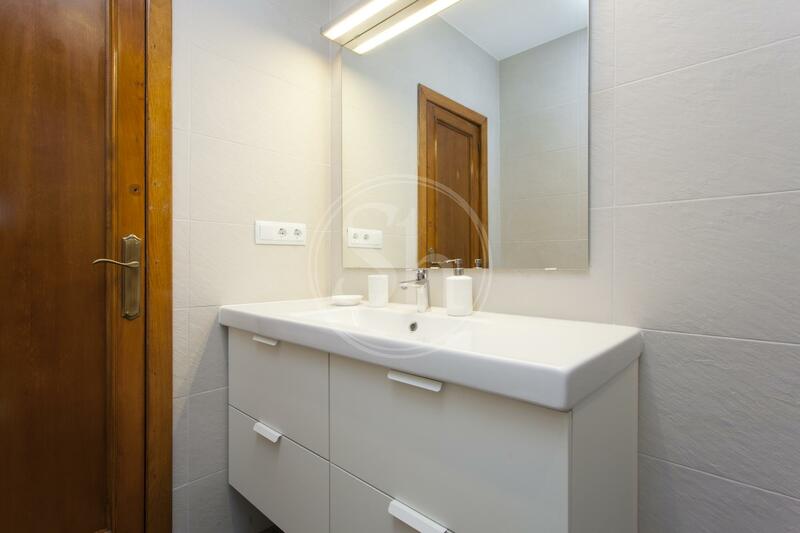 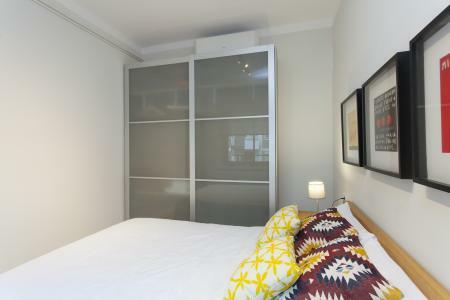 Comfortable, modern flat for rent on Sant Antoni Maria Clare Street, in the popular Sant Martí neighbourhood of Barcelona. 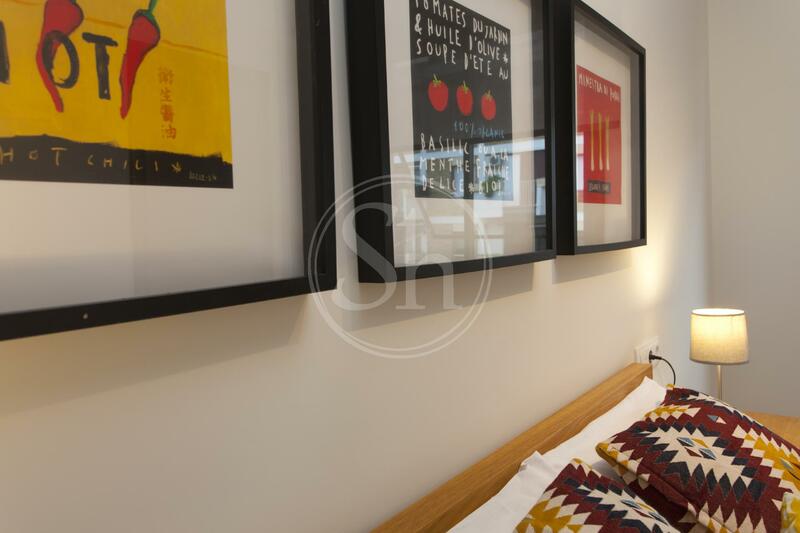 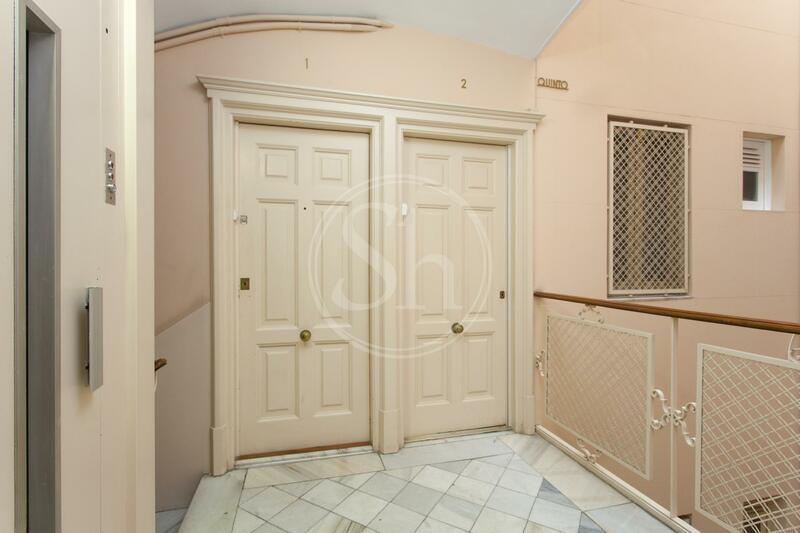 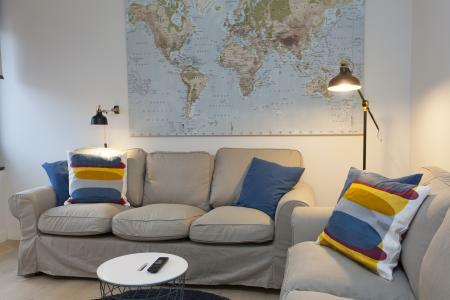 It comes colourfully decorated with an abundance of natural light and consists of three double bedrooms, two bathrooms, a fully equipped kitchen and a comfortable living room. 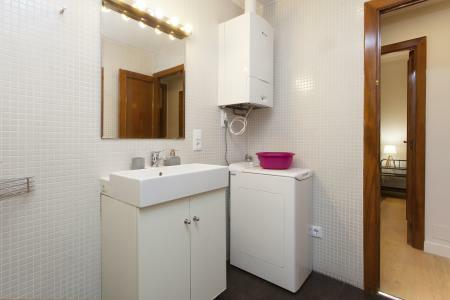 It is fully furnished and includes air conditioning, heating, internet connection and TV. 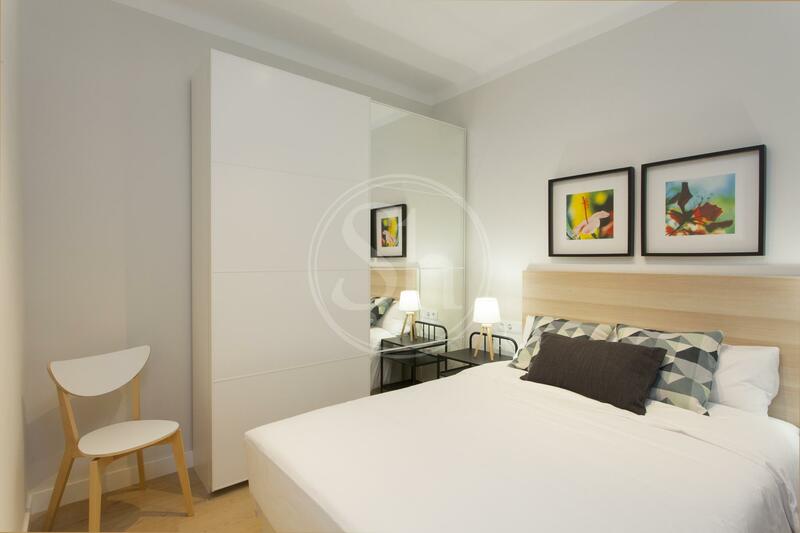 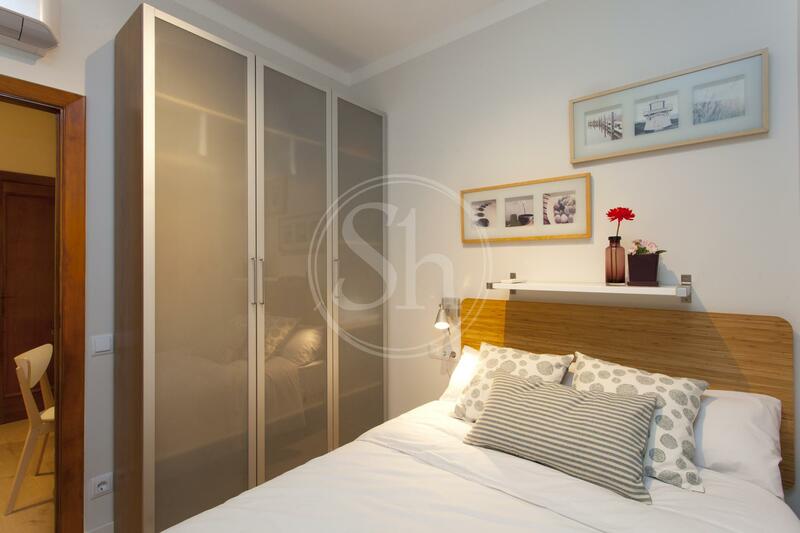 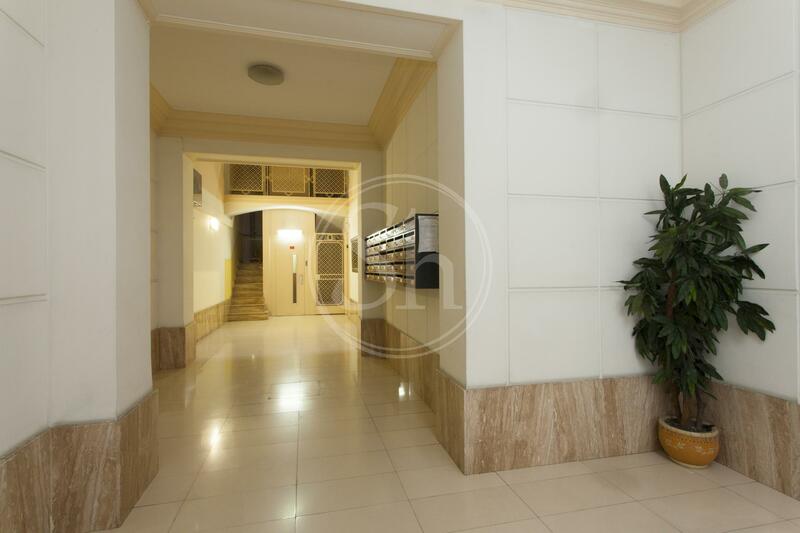 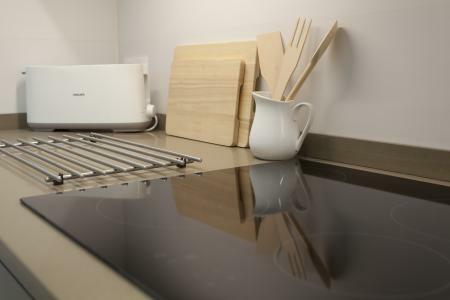 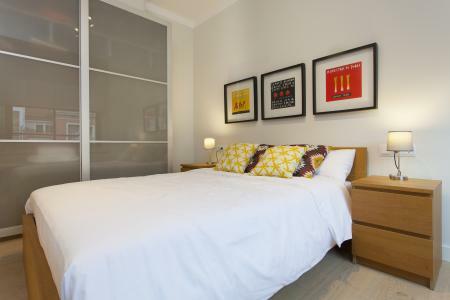 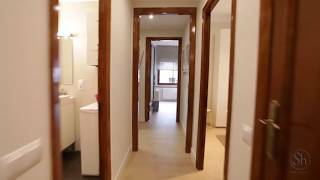 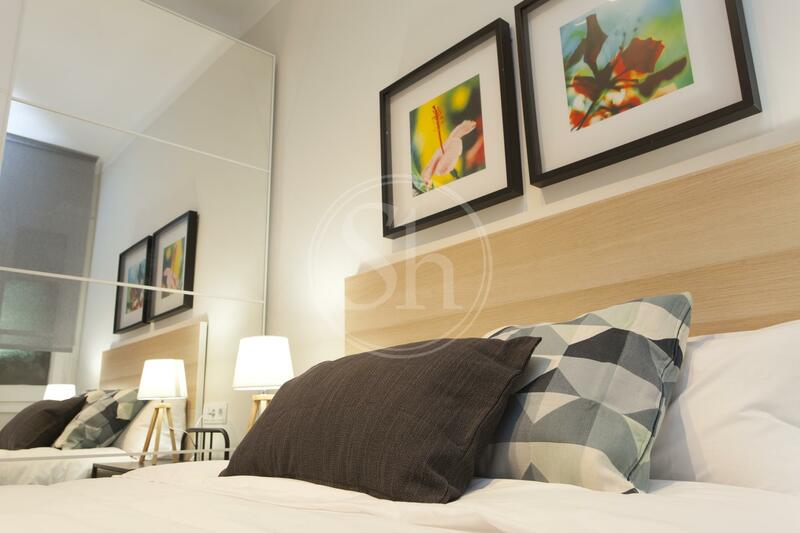 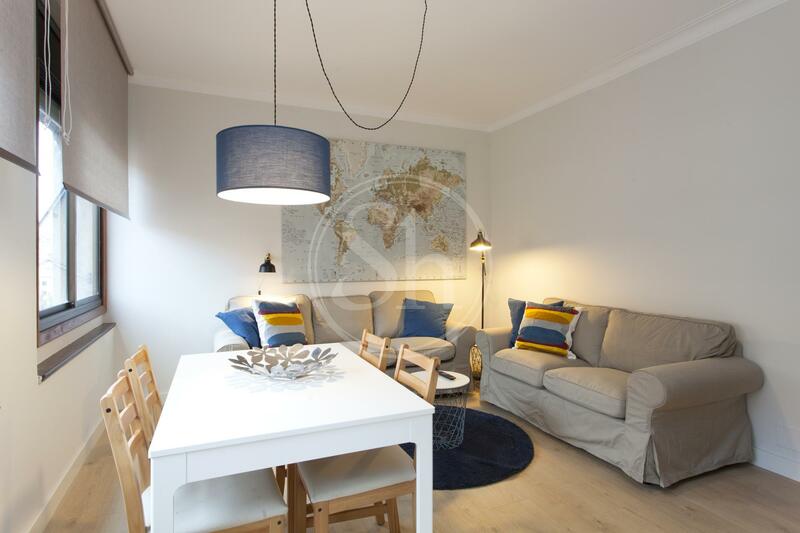 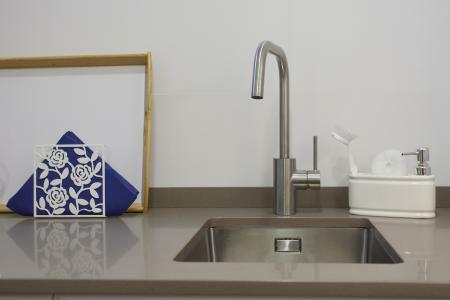 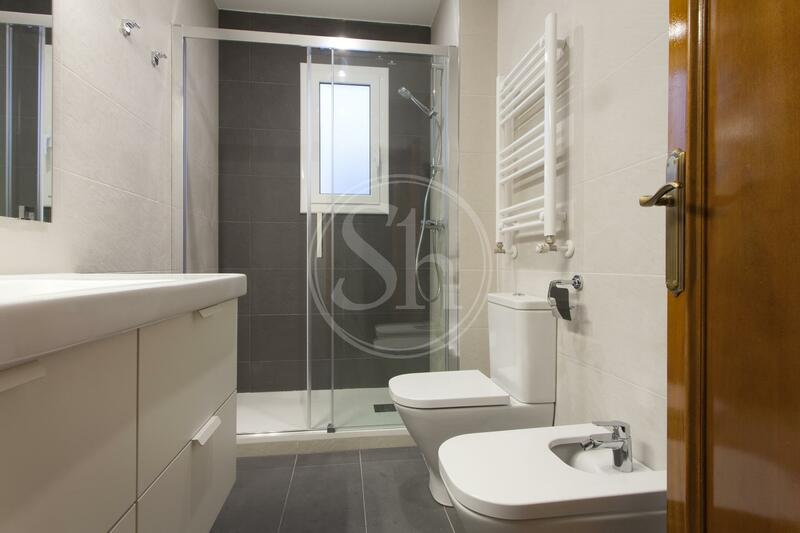 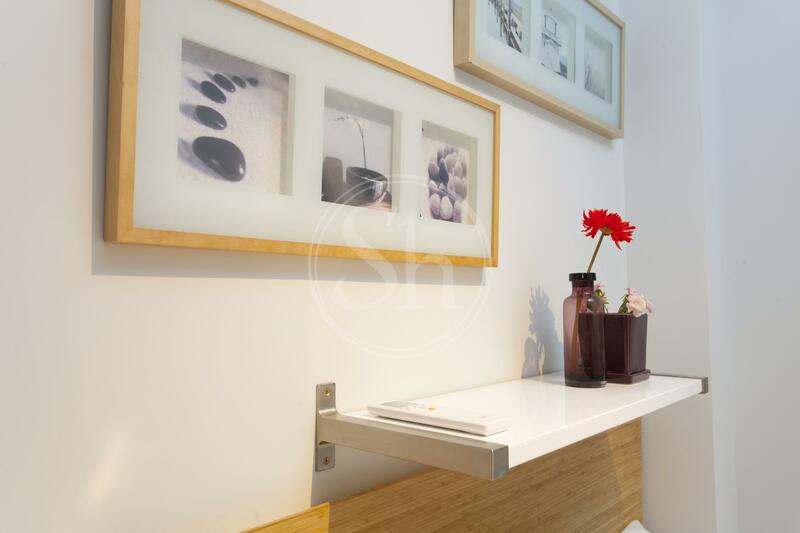 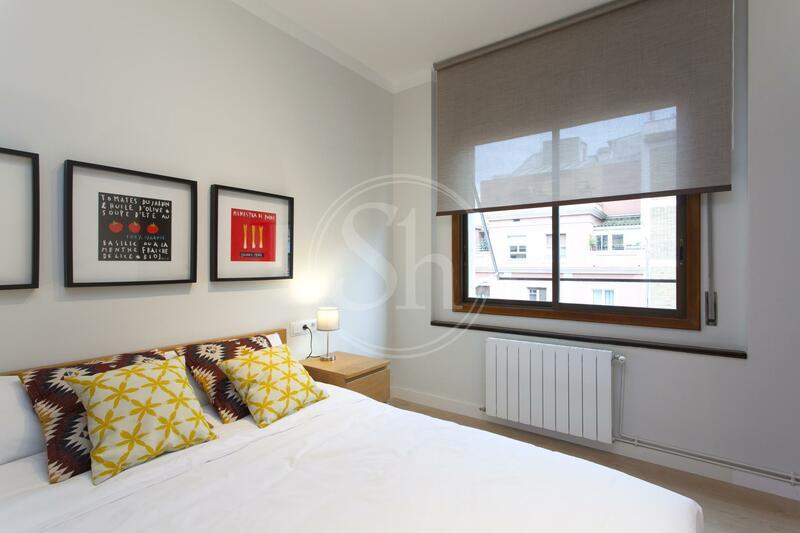 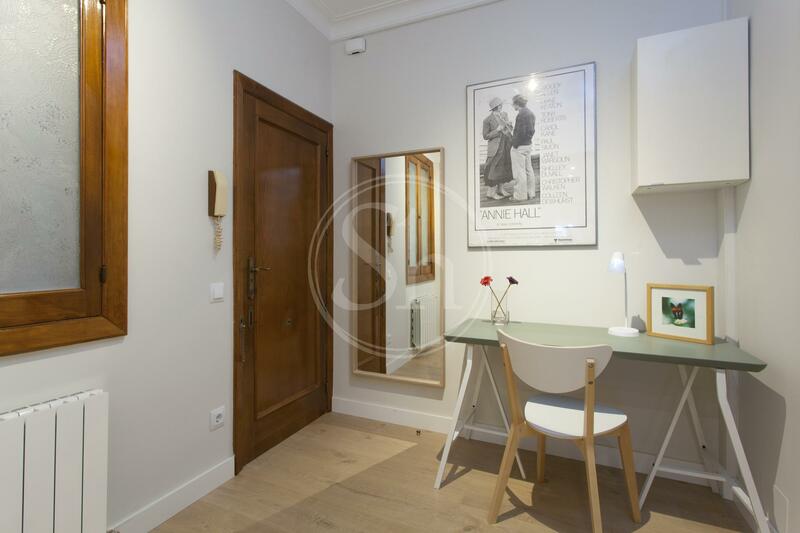 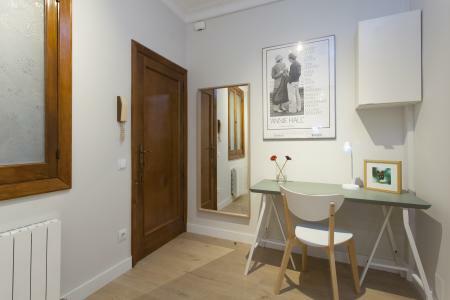 It is an ideal flat to make a home while staying in the city of Barcelona. The Sant Martí neighbourhood is a quiet, residential, pleasant area to live. From this location you can also reach the district of Horta Guinardo easily, where you will find many parks and green spaces. 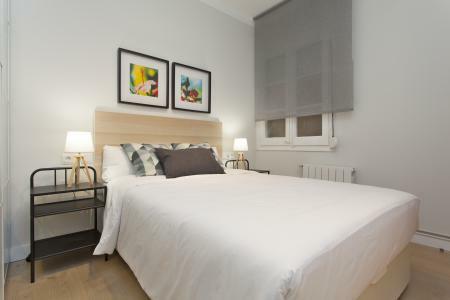 The flat is very close to the Hospital Sant Pau and the Bunkers del Carmel, from here you can enjoy the magnificent view across the entire city of Barcelona. The area has all the necessary amenities and is well connected by bus and metro networks. 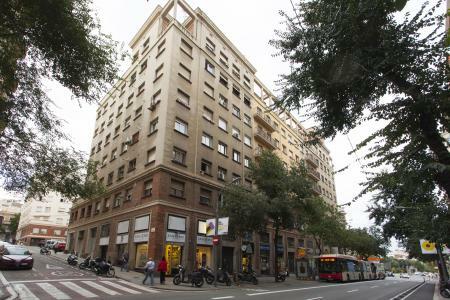 The nearest station is Camp de l'Arpa (blue L5).